Open Care System are designed to provide advance warming capabilities while using one touch operations to simplify procedures. A big LCD is provided for more specific information and visualization of the heater power in manual and servo modes. Advance microprocessor controlled system with self check on the electronic circuitry skin/air/manual control. Digital display of baby temperature /air temperature. Soft touch display of control temperature. Manual/ servo two function control modes provide the clinican more flexibility while optimizing the thermal environment. In addition the skin/ air temperature is larger than the other set temperature display. Skin temperature can be converted from oC to oF by the push of a button. The system automatically converts from servo mode to manual mode in case of probe failure thus providing non stop working of the unit. The spacious baby bed incorporates easily drop down sides for maximum access to the patient with terendenlenberg & reverse terendenlenberg position. We are reputed Open Care System manufacturers, suppliers, producers and exporters of Open Care System, Infant Radiant Warmer, Neonatal Equipments, Baby Care Equipments Etc. MEI range of Infant Radiant Heat Warmer MEIS you to efficiently care and provide advance warming capabilities while using one touch erations to simplify procedures. Immediately after birth the new born baby experiences some degree of thermal instability as it comes from the mother’s womb which has stable environment, to the cooler environment of the delivery room. MEI range of warmers promise error free, comfortable and secure treatment of the new born. 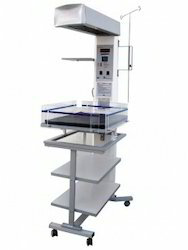 MEI range of Infant Radiant Warmer allow you to efficiently care and provide advance warming capabilities while using one touch operations to simplify procedures. Immediately after birth the new born baby experiences some degree of thermal instability as it comes from the mother’s womb which has stable environment, to the cooler environment of the delivery room. Tiana range of warmers promise error free, comfortable and secure treatment of the new born. We are reputed Open Care System manufacturers, suppliers, producers and exporters of Open Care System. Neonatal Open Care System are designed to provide advance warming capabilities while using one touch operations to simplify procedures. A big LCD is provided for more specific information and visualization of the heater power in manual and servo modes. Advance microprocessor controlled system with self check on the electronic circuitry skin/air/manual control. Digital display of baby temperature /air temperature. Soft touch display of control temperature. Manual/ servo two function control modes provide the clinican more flexibility while optimizing the thermal environment. In addition the skin/ air temperature is larger than the other set temperature display. Skin temperature can be converted from oC to oF by the push of a button. The system automatically converts from servo mode to manual mode in case of probe failure thus providing non stop working of the unit. The spacious baby bed incorporates easily drop down sides for maximum access to the patient with terendenlenberg & reverse terendenlenberg position. Being a quality-centric organization, we are focused in manufacturing, exporting and supplying high quality Transport Incubator. 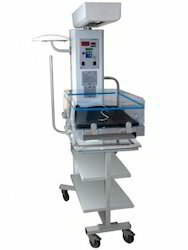 This incubator is convenient for holding the infant securely during transport and is suitable for suitable all ambulances. 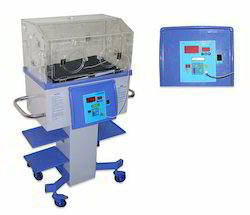 Provided incubator is manufactured in our advanced manufacturing unit by our professionals using well-checked raw material and contemporary technology. 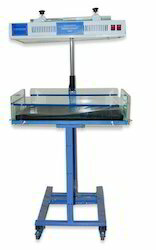 Moreover, our offered incubator can be availed in several specifications to meet the desired needs of the clients. 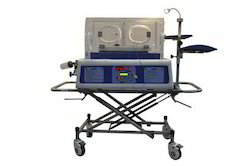 We offer this Transport Incubator to the clients at industry-leading prices. Air and temperature controls with diagnostic alarms. 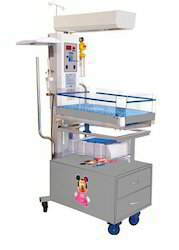 Neonatal Care Equipments and all types of Infant Care Equipment. 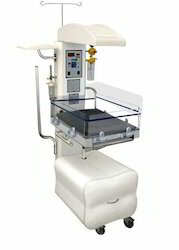 We are reputed Phototherapy Unit manufacturers, suppliers, producers and exporters of Phototherapy Unit, Infant Radiant Warmer, Baby Incubator, Neonatal equipments, Baby care equipments,LED Phototherapy Unit, CFL Phototherapy Unit, Double Surface Phototherapy Unit, Light Emitting Diode Phototherapy System, Neontal Jaundice with LED Undersurface Phototherapy Units and have Ultimate solutions for Neonatal Jaundice Treatment. cooling, thickened secretions, nasal irritation & bleeding. which was not possible in the conventional bubble humidifiers. greater tendency of airway closure when FRC falls below closing volume. There is a decrease in infant's minute volume and respiratory rate with RESTOHEALTH. alternate form of gas exchange through the principle of facilitated diffusion. 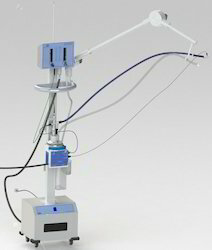 • Restohealth comes with compact gas mixer for air and oxygen (Tubeless Construction). • Range step less 21% to 100% of oxygen. Inlet foe gas pressure is 50 psi. • Integrated flowmeter unit with range from 0 ~15 l/min. • Alarm system for gas supply drop. • Unique Design and easy to use. • Integrated pole assemble for mounting all the items. • Respiratory humidifier with humidification chamber. • Air compressor, oxygen Analyser. • Patient interface includes nasal prongs, nasal tubing's & infant Bonnets.